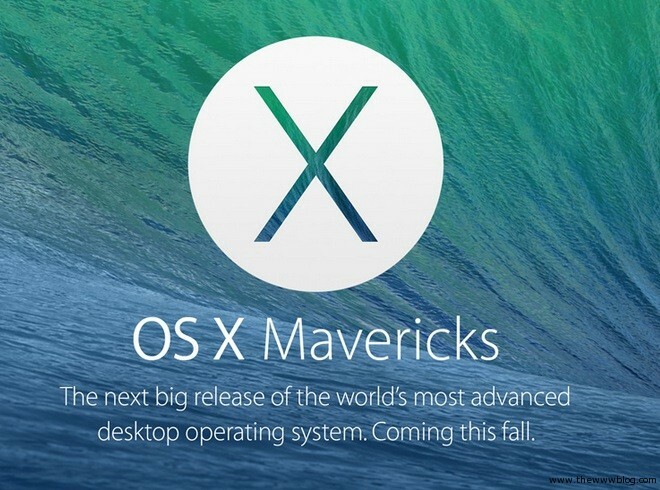 At the WWDC 2013 event by Apple, the company had launched the latest OS X version, the Mac OS X 10.9 Mavericks for the Macbooks. As of now the Developer Preview 2 version is available for the users, and you can download it if you have a developer account with Apple. The new OS version came with a lot of improvements of features and new ones included too. iBooks – The books that you have downloaded in the iOS devices, such as the iPad, iPhone etc. using the iBooks app, can now be downloaded to your Mac OS too and they would automatically appear in your Mac. And there are over 1.8 million more in the iBooks Store. Maps – The Apple maps, which took its own path away from the Google maps, is now available with better features for the Mac OS X Mavericks. In this, maps are built into Mail, Contacts, and Calendar, too. Calendar – This app has become more streamlined and smoother with easy scrolling through the various weeks and months, and as given in the above line, the Maps can be directly accessed when a place is mentioned in the calendar entries. iCloud Keychain – The 256-bit AES encryption helps keep the passwords very secure, and with that, there’s a provision to access the passwords from any of the Apple devices if you hold an account. Support for Multiple Displays – The OS X mavericks would take full advantage of all the displays that are connected to the Mac, and this would show a dock on each screen you are working on. Tags – This is something totally new in the latest version of the OS X, where tagging would make it easier to store and find the files based on the tags that are given for them. There’s a lot more that is made available and upgraded in the Mavericks, and that includes the Notifications, Finder Tabs and OS X server.